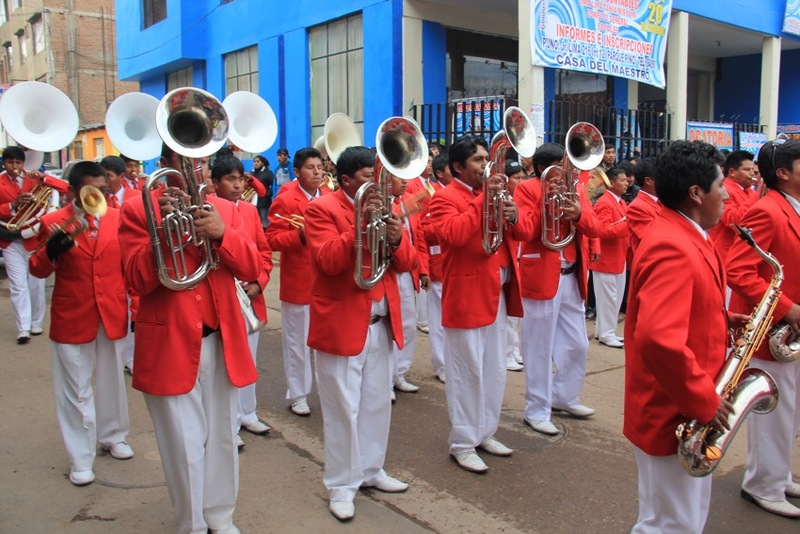 Two day tours and an unexpected street parade. 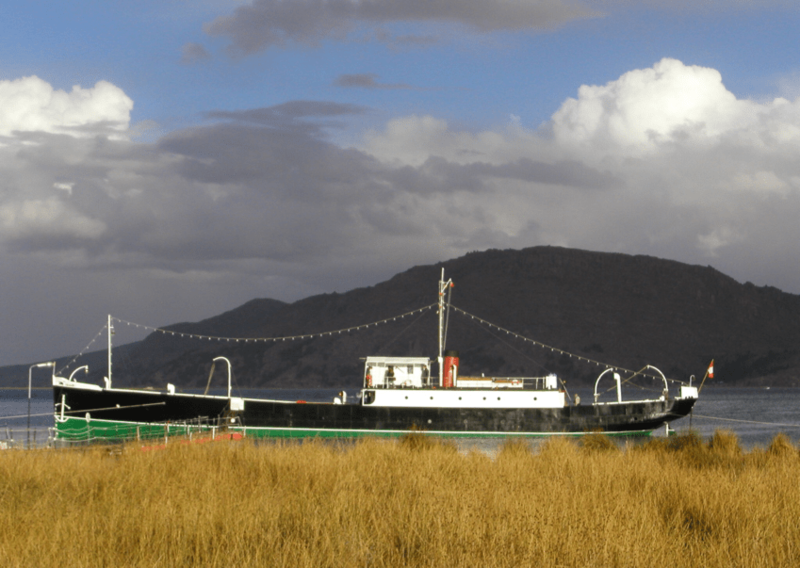 “The oldest boat on Lake Titicaca, the iron-hulled Yavari was built in England and shipped in 2766 pieces around Cape Horn to Arica, then transported to Tacna by train and hauled by mule over the Andes to Puno (taking a mere six years), where it was reassembled and launched in 1870. Due to a coal shortage, the engines were often powered by dried llama dung”. Lonely Planet – South America. 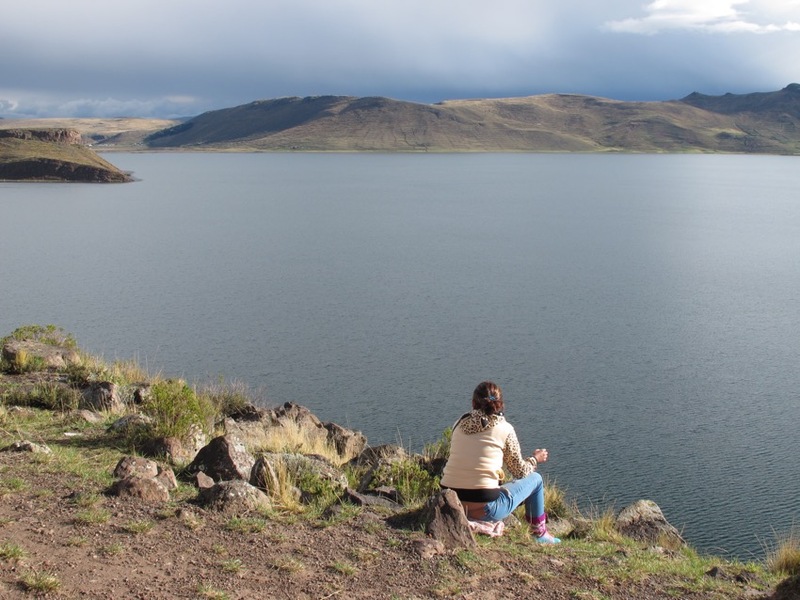 Sitting on rolling hills in the Lago Umayo peninsula, the ruined towers at Sillustani stand out for miles against the unforgiving landscape. 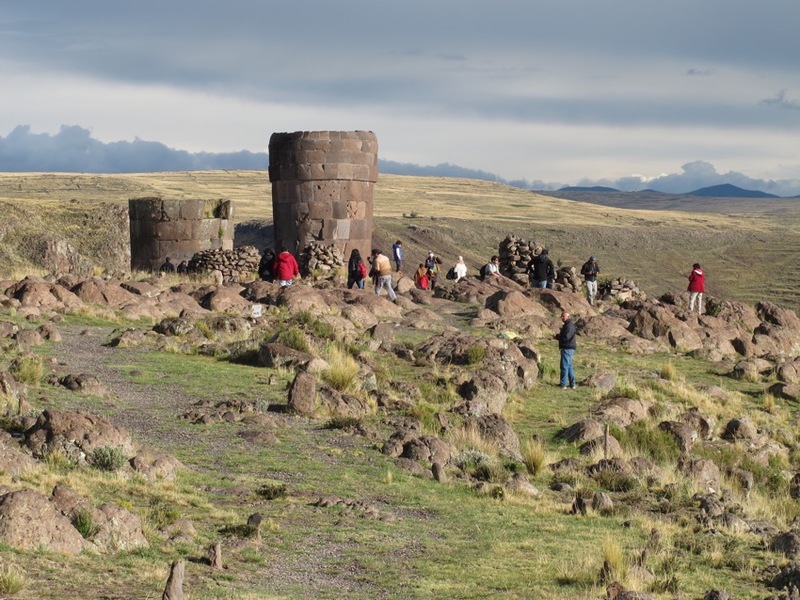 The ancient Colla people were a warlike, Aymara-speaking tribe that buried their nobility inside impressive chullpas (funerary towers), made from massive coursed blocks and reaching heights of up to 12 metres. Tap here for further information. 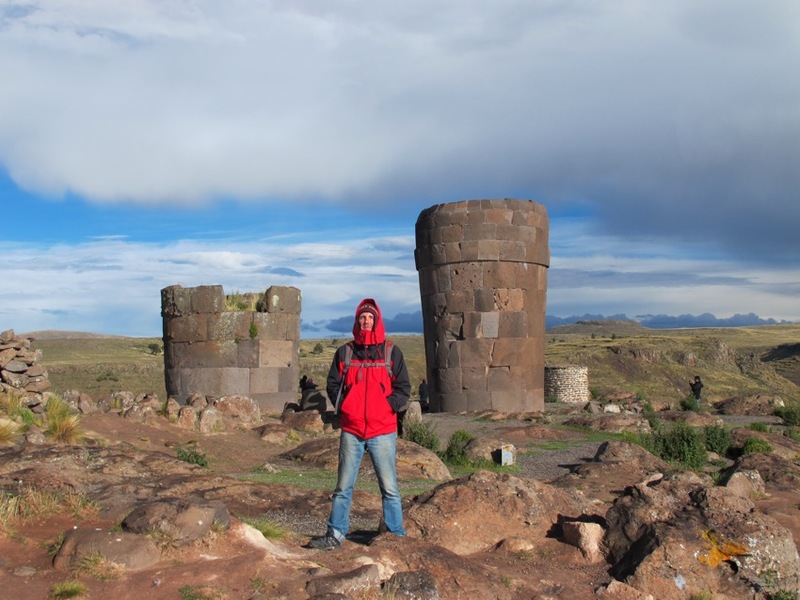 Next stage: Cuzco – gateway to Machu Picchu. This entry was posted in Peru and tagged Puno. Bookmark the permalink.